I've been in Melbourne for three years. I really enjoy photography. So, not visiting Princes Pier until now was a pretty big mistake. It's awesome. I picked a great evening to walk there, celebrating being made a permanent resident of Australia along with my wife. 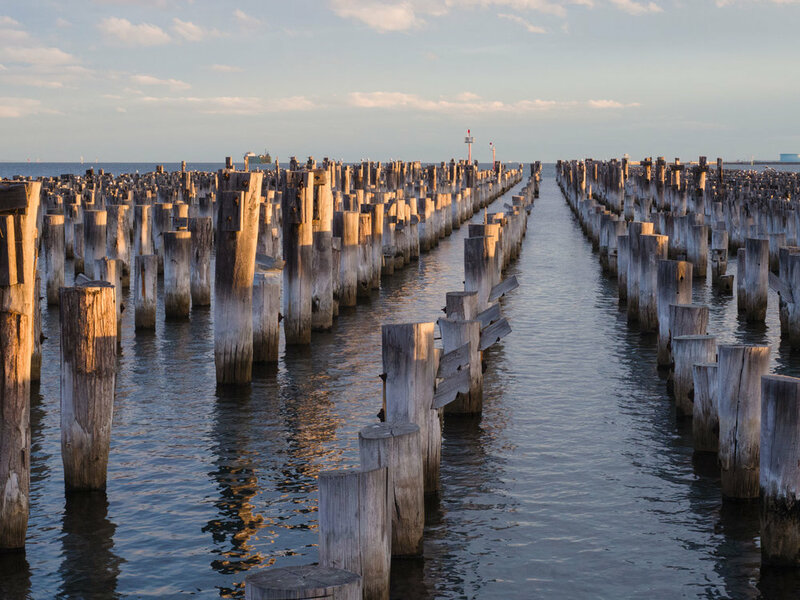 Princes Pier wooden poles, Melbourne. Princes Pier is a really nice place, right next to Beach Street which always makes my wife and I feel like we're on holiday. Great place. 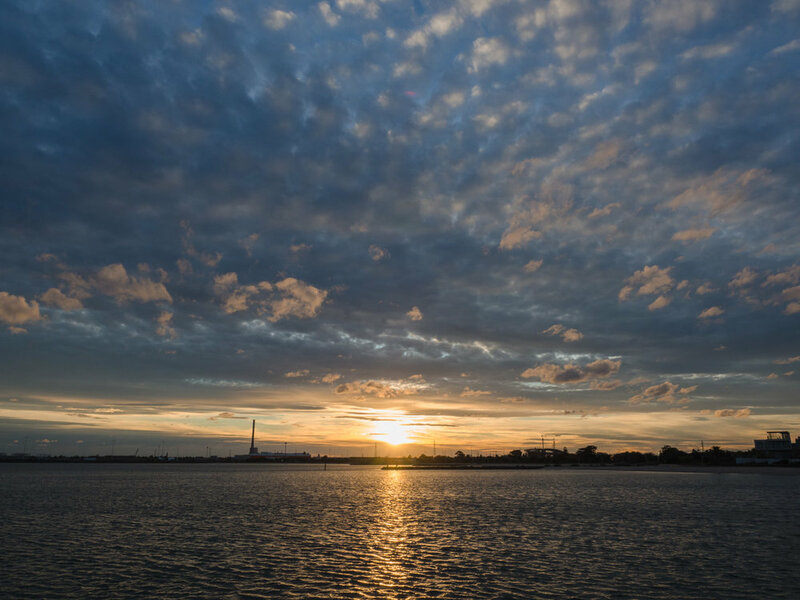 Stay until full sunset and if you look towards the Westgate bridge you might be treated to a great, great sunset. I was. This shot is barely touched in Lightroom, the clouds really were that impressive. Sunset at Princes Pier, Melbourne. Needless to say, I took rather a lot of other shots so i've added just a couple more of my favourites below. One from the pier and another of the beacon on the walk home. As all of my photography is taken on an Olympus OMD EM-10 it's worth mentioning that the new EM-1 Mark 2 was released this week at the Photokina show. It looks like a great camera, an evolutionary improvement on the mark 1. Might think about it next year, if my photography deserves a camera upgrade. 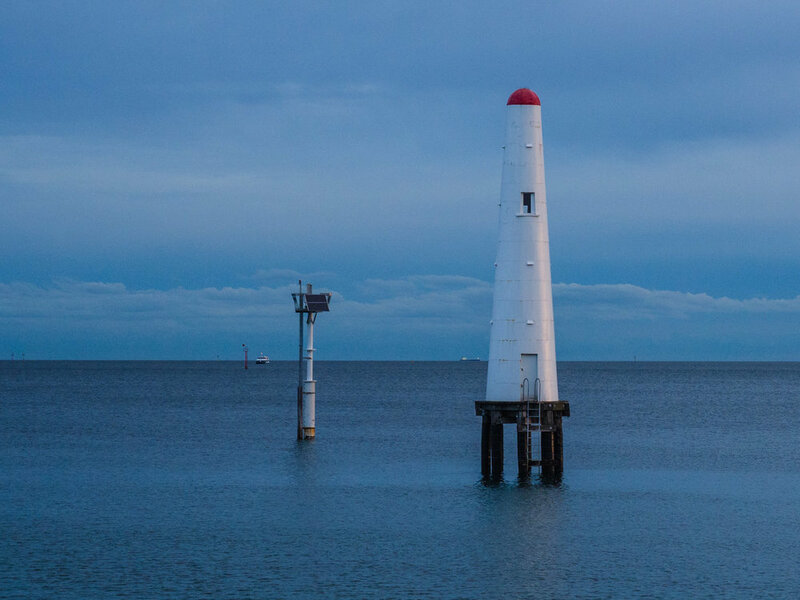 Beacon at Princes Pier, Melbourne. Sunset over the Westgate bridge, Melbourne.